Powerful team building experiences that inspire, engage, and reward. Increase attendee engagment with a powerful team building activity. We will insure your meeting message and company values are seamlessly incorporated in a timeframe you need. Get your group out and have some fun! We have a huge selection of team building games and events, Group Excursions, Scavenger Hunts, Cocktail Activities, Charity Options, Gameshow challenges and more. Moving outside the office to focus on your team is a powerful tool. Building team camaraderie and confidence is the key to reducing stress and creating more productive teams. We use proven methods to help your team grow in a neutral non-work setting. What an amazing experience! The DMC we were working with could not seem to provide us with the type of volunteer activity we were looking for, we had been going back and forth with them for week. I found Firefly online and from there our event was worry free. Not only did they understand what we were trying to achieve, but they came up with the perfect event for us and took care of all the details from transportation to food. Our annual All-Company Meeting was taken to a whole new level when we decided to hire James and his team from Firefly! We wanted something tailored to our group: Engineers. I had in mind Communication, Problem Solving, Learning about each other, Leadership, and Fun. FireFly was able to accomplish ALL of these in the time period and in the budget we requested. It was the most memorable and least stressful aspect of the entire event. Anyone planning an event knows that is the holy grail. I would highly recommend Firefly and would not hesitate to work with them in the future. They truly make one’s planning so much easier and event so much better. These guys know how to get things going. I’m not much of a team-building, rah-rah sort of person but I have to admit that this was way more fun than I expected. Everyone had an absolute blast. This team is a lot of fun and keep it all very professional. HIGHLY RECOMMENDED. Our talented team produces event ANYWHERE in the United States. Don’t see your city on the list below? Let us know! 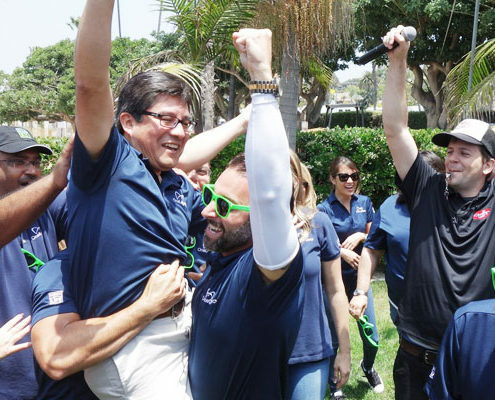 Team Building in Orange County offers unique open areas and beach front event spaces. As Locals, we’ll help you find the perfect spot for your team event. Blue Skies and palm trees are the perfect setting for your next team building olympics, scavenger hunt, amazing race, or sand castle build. There are amazing Los Angeles team building opportunities. The city of Los Angeles can be beautiful and frustrating when you’re planning your team building event. We’ve experienced the limited curb space and tight traffic and have learned how to maximize our clients time and experience. From the beaches of Santa Monica to LA Live to the Los Angeles Convention Center we’ll make sure your group is laughing and smiling the entire time. Let us show you how easy it can be! We love creating team building memories that you don’t have to leave behind in Las Vegas! Join us on the Las Vegas Strip for a high energy hilarious photo scavenger hunt. Or partner with us for a charitable team event in one of the many iconic hotels like the Venetian, Aria, or Bellagio. We love Anaheim team building options! The Anaheim Convention Center is the central event draw in Anaheim. We love producing events near the happiest place on earth(Disneyland). Holding a convention, trade show, sales meeting, or conference at the convention center? Plan a team olympics, amazing race, or our EXCLUSIVE Wipeout Warrior event! Huntington Beach team building is our specialty as locals! With plenty of beaches, parks, and local flavor Huntington Beach is a beautiful location for your next team event. This is our home base and a favorite spot for team fun with our clients. With our local knowledge we’ll make sure your Group gets a taste of surf culture. Plan your next beach olympics, sand castle build, amazing race, or graffiti event here. Team Building in Irvine has the benefit of wide open spaces, an abundance of parks and proximity to major freeways. If you’re looking to host a corporate team building event you have plenty of options. Let us plan an Iron Team Challenge, Charity Bike Build, or a wacky Minute to Win it challenge for your next event. Long Beach team building is the best way to experience the city as a team. We can plan amazing race or team olympic style outings for your group in the Downtown Long Beach area. With the Aquarium and shopping districts so close to the convention center the possibilities are endless! Right in our backyard and home to an amazing arts culture, Laguna Beach offers some unique excursion and team building opportunities. Art Walks, ocean kayaking, and wine tasting are just a few possibilities in this idyllic seaside village. 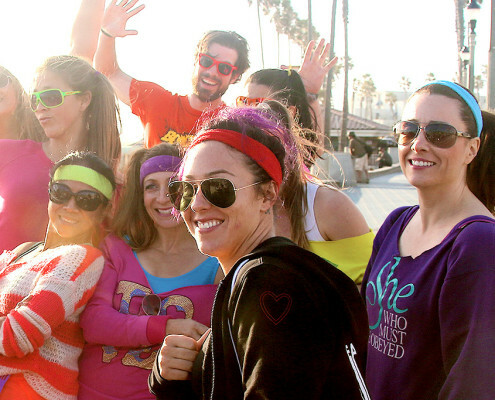 Newport Beach is the perfect spot for a unique relaxing team building event. Whether it’s a gorgeous marina tour on electric Duffy boats or a scavenger hunt on the Balboa peninsula we’ll insure your team ends up grinning from ear to ear.